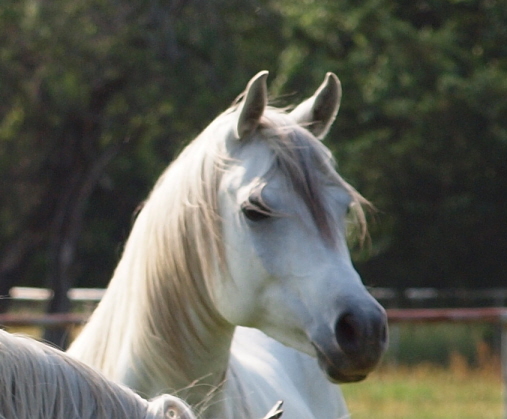 We have owned and bred Arabians for 29 years. 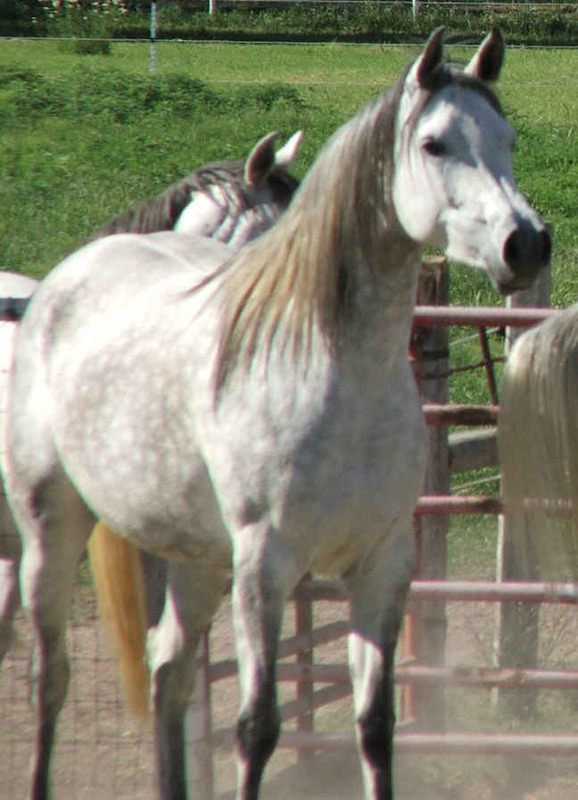 We gravitated toward the Spanish bred horses because of their wonderful dispositions. But in the year of the new millenium, a dramatic change came into our lives in the form of a straight Egyptian stallion who has stollen our hearts. 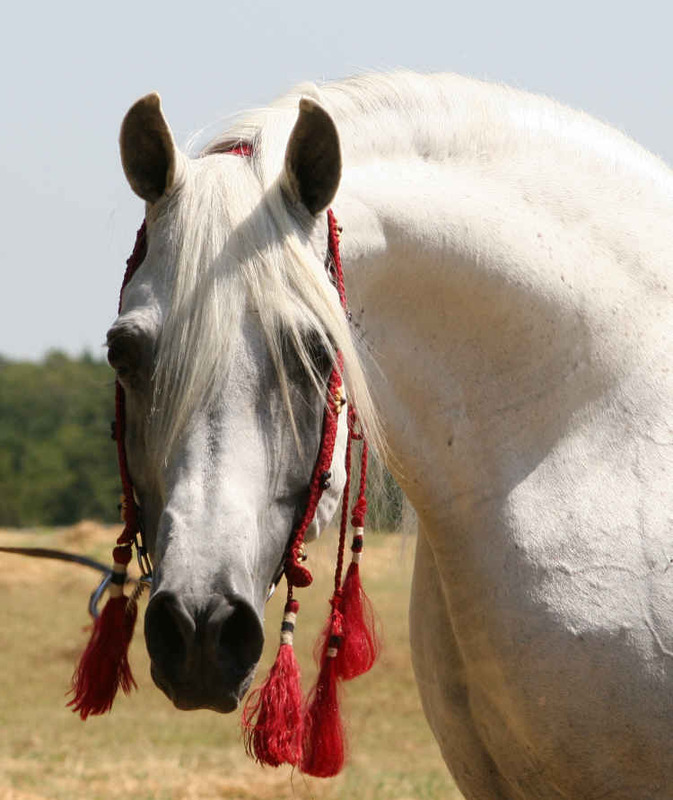 Talmaar has been our introduction to the straight Egyptian horse. And what a treat he has been! Impeccable pedigree, outstanding show record in halter as well as being a champion in performance, and a super disposition to boot! 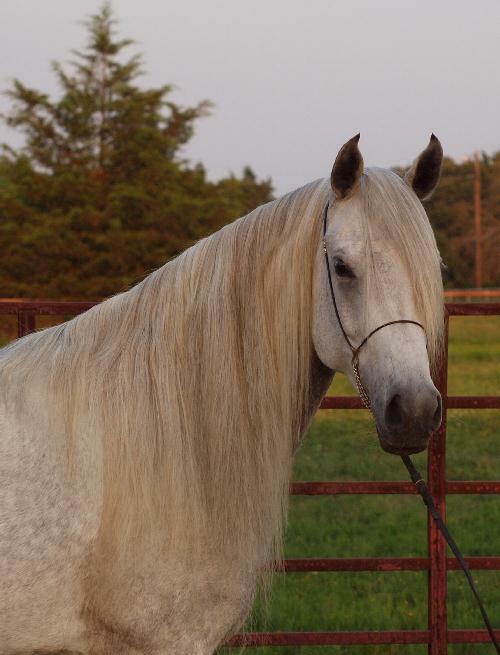 We now have added several lovely straight Egyptian mares to complement him. 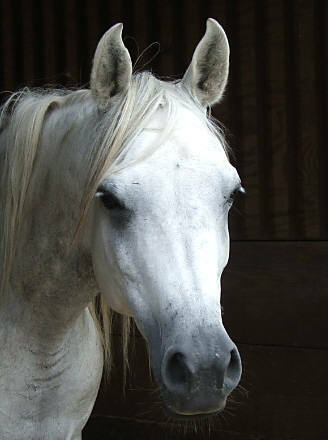 Monalela is an inbred mare with her sire and dam carrying 15/16 of the same ancestors. She is intensely Moniet El Nefous bred, carrying 6 lines to her. 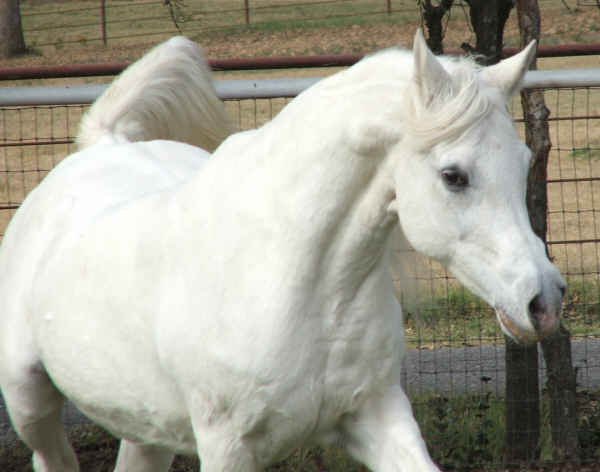 Both Monalela's sire and dam are by the fabulous producing stallion, TheEgyptianPrince. A beautiful mare with a wonderful disposition who has given us two lovely daughters. 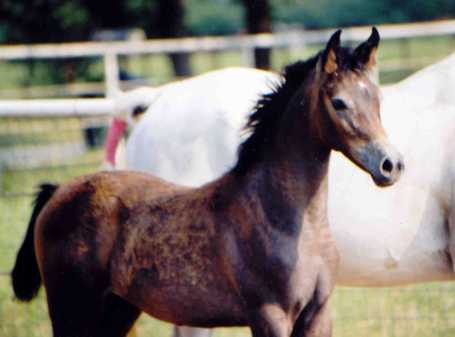 Our beloved AK Fa Monalela was in foal to Akid Geshan for 2002. She aborted a filly on Nov. 11, 2001. Coincedentally, that was the closing date of IEM's fall auction. Kiya lei was acquired in last minute bidding as a replacement for that foal. She is a lovely mare and we are excited that she adds not only the blood of Akid Geshan, but that of Serenity Sonbolah to our program as well. Her dam is a daughter of Ansata Omar Halim, a full brother to Ansata Halim Shah, out of a*Serenity Sonbolah daughter. 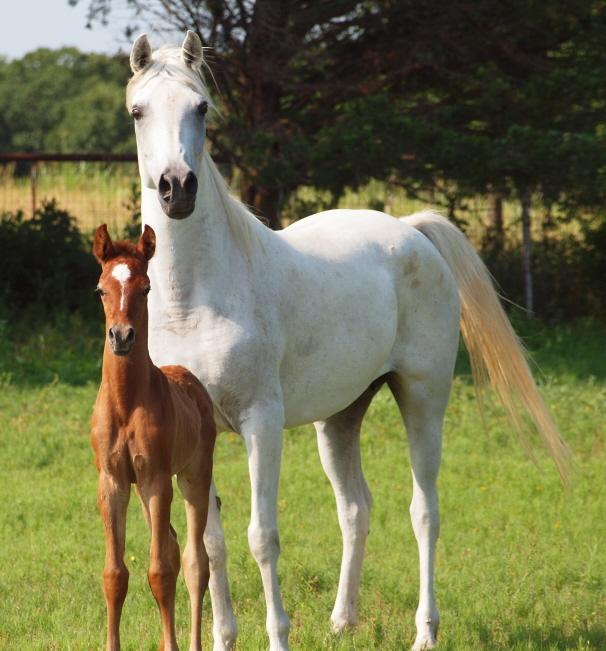 She foaled a gorgeous colt in 2003 by MB Talmaar and a flashy double Nabiel filly in 2005. This is the first Straight Egyptian filly that we have produced. She is a big strapping girl, measuring 15 hands when she just turned two. She combines size with elegance. She will be retained as a replacement mare for her mother. 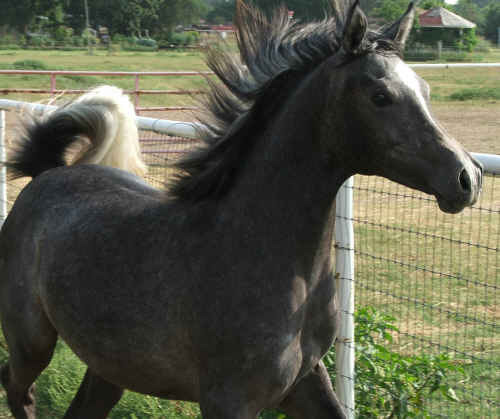 Kashmaara (MB Talmaar x AK Fa Monalela) 2004 grey filly Kuhayla Jellabiya strain *Maaroufa dam line This is our miracle filly. After an incredibly rough start in life, it appears that she will go on to be a replacement for her mother in our broodmare band. Her dispostion is so sweet that we joke that she is not a tent arab, but rather is a "couch arab". 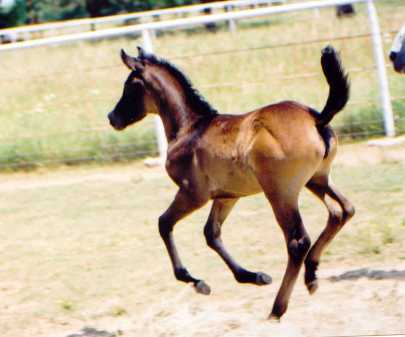 Punkaara (MB Talmaar x AK Fa Monalela) 2003 grey filly Kuhayla Jellabiya strain *Maaroufa dam line "Punky" was born bright orange and for years, the only name she knew was Pumpkin. She was registered late and her name is derived from her nickname. She is expecting her first foal in 2010. We bred Kiyalei to Sterling Vision to double up on the Nabiel and hopefully to get a filly to breed back to Talmaar. The resulting filly is very nice and will be a great compliment to Talmaar. She retained many of the qualities that we like in her dam while being further refined by her sire. Sterling Treasure is out of our lovely Anaza El Nizr daughter whom we recently lost. Treausre is a lovely filly who inherited good qualities from both her sire and dam. Pictured below is her dam.